If meat is grown in a lab without slaughtering animals, what should it be called? That question has yet to be decided by regulators, but it's lead to a war of words. That question has yet to be decided by regulators, but for the moment it's pitting animal rights advocates and others against cattle ranchers in a war of words. 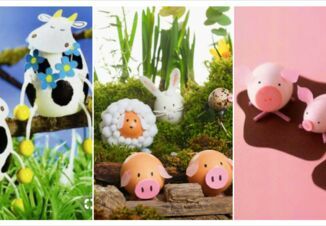 Supporters of the science are embracing "clean meat" to describe meat grown by replicating animal cells. Many in the conventional meat industry are irritated by the term and want to stamp it out before it takes hold. "It implies that traditional beef is dirty," says Danielle Beck, director of government affairs for the National Cattlemen's Beef Association. The spat shows the power of language as a new industry attempts to reshape eating habits. It's why the $49.5 billion U.S. beef, poultry, pork and lamb industry is mobilizing to claim ownership of the term "meat." What gets to be considered "meat" is a particularly touchy subject as new companies come up with substitutes they say are just like the real thing. Impossible Burger's plant-based patty "bleeds" like beef. Companies such as Memphis Meats are growing meat by culturing animal cells, though it could be years before products are on shelves. Big meat producers like Tyson Foods and Cargill Inc. are among Memphis Meats' investors. There's some confusion over how meat grown by culturing animal cells will be regulated. 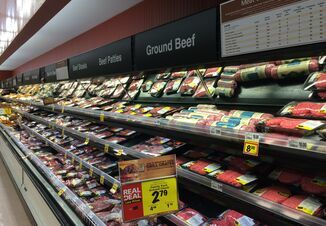 The U.S. Department of Agriculture oversees meat inspections, while the Food and Drug Administration oversees other aspects of food safety, including the "standards of identity" that spell out what ingredients can go into products with specific names. The FDA — which in the past has called out Kraft's use of the term "pasteurized process cheese food" — plans to hold a public meeting to discuss "cultured" meat next month. The Good Food Institute, an advocacy and lobbying group for meat alternatives, is embracing "clean meat," which channels the positive connotations of "clean energy." Other options it tested: "Meat 2.0," ''Safe Meat" and "Pure Meat." "Green Meat" was dismissed early on. "Nobody wants to eat green meat," said Bruce Friedrich, co-founder of the Good Food Institute. The National Cattlemen's Beef Association is fighting to defend what it sees as its linguistic turf. "Our marching orders were to protect beef nomenclature," says Beck. The cattlemen's group prefers less appetizing terms such as "in vitro meat," ''synthetic meat" or even "meat byproduct" for meat grown through cultured cells. For meat alternatives more broadly, it likes "fake meat." The U.S. Cattlemen's Association, a smaller group, also petitioned the USDA in February to enforce that "beef" and "meat" only be used for animals "born, raised and harvested in the traditional manner." And in October, the former head of the U.S. Farmers & Ranchers Alliance considered a way to possibly halt the use of "clean meat" after hearing the term. "You will see that we left the conference and immediately investigated the term 'Clean Meat' from a trademark perspective," wrote Randy Krotz, then-CEO of the group, according to an email obtained through a public records request by Property of the People, which advocates for government transparency. Krotz noted that another party had already applied for the trademark, but said the alliance was able to claim the Twitter handle "@clean_meat." That account does not show any activity. Anne Curzan, a professor of English at the University of Michigan, says the term "clean meat" highlights the positive and pushes into the background aspects that may make people uncomfortable. "It is smart branding to try to keep the product from being associated with 'frankenfood'," Curzan says. It's just the latest front in the war of words in food. Last year, the dairy industry revived its quest to abolish terms like "soy milk" and "almond milk," saying that milk is defined as being obtained from a cow. That came after a vegan spread provoked the ire of the Association for Dressings and Sauces, of which Hellmann's is a member, by calling itself "Just Mayo." Even grains aren't immune from controversy. With cauliflower "rice" becoming popular with low-carb eaters, the rice industry is punching back with its own term for chopped-up vegetable substitutes: "rice pretenders"